This used to be good. Dad bought them when i was a kid. But i also havnt seen it in a while. The dutch shop used to sell them but they are not around anymore. Why can\’t I get it anymore. It seems that Don is not making the Van Wees anymore, not fair for us Dutch people. Why can’t I get it anymore. It seems that Don is not making the Van Wees anymore, not fair for us Dutch people. 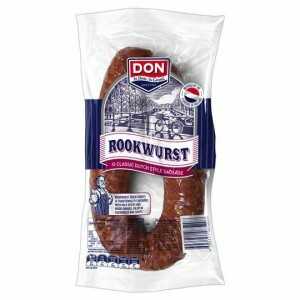 How would you rate Don Rookwurst Dutch?